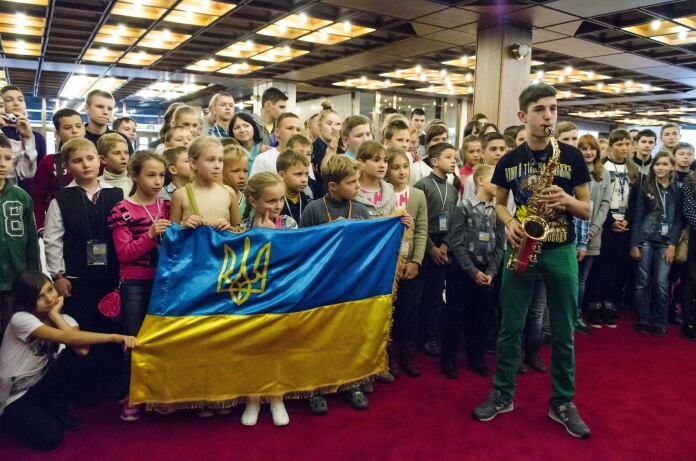 Ukrainian children visiting Slovak Parliament in 2015. 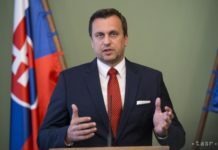 Bratislava, February 3 (TASR) – Thirty children from Ukraine are set to come to Slovakia this week to present with their Slovak peers a project called ‚Children for Peace‘, the Slovak Foreign and European Affairs Ministry announced on Wednesday. The children are to be received at the Foreign Ministry on Friday before meeting MPs from the parliamentary foreign affairs committee. At Slovak schools the Ukrainian children will then present an exchange project set to be carried out in another 35 countries, including all 28 member countries of the EU. The project has already visited Bulgaria and Romania. The project involves Ukrainian children pasting paper pigeons on a map of Ukraine, along with wishes addressed to the children in the country that they are visiting. They then hand over this map to children from the other country, along with a map with pigeons in the colours of the host country. The other children then write their wishes for Ukrainians on the map. All maps from all over Europe and other countries will be presented as part of a mosaic on Children’s Day (June 1) in Kiev, with thousands of children, politicians and ambassadors of the involved countries present. 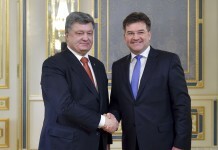 The project emerged on the initiative of Ukrainian MPs, public officials and diplomatic missions in Ukraine with the aim of „pointing to the need to maintain peace all over the world, to support the protection of Ukraine’s interests and to preserve a positive image of Ukraine in Europe“, added the Slovak ministry.